Keep your clients' feet clean and comfortable. Your clients will feel safe and protected while they move from one treatment to the next in your spa or salon with our Spa-Quality Slippers. The slippers are disposable so that means no clean-up for you. They are available in white in packs of 10 pairs. 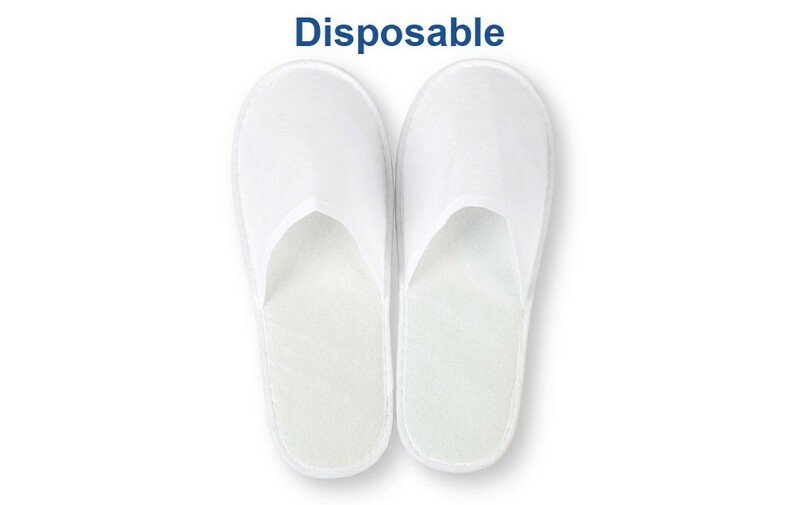 Our one-size-fits-most (11.5"L), unisex, non-woven, disposable, closed-toe Spa-Quality Slippers are ideal for spas, salons, hotels, and even at home. With these convenient slippers, your clients keep their feet clean and protected as they move around your place of business. And there’s no clean-up for you! 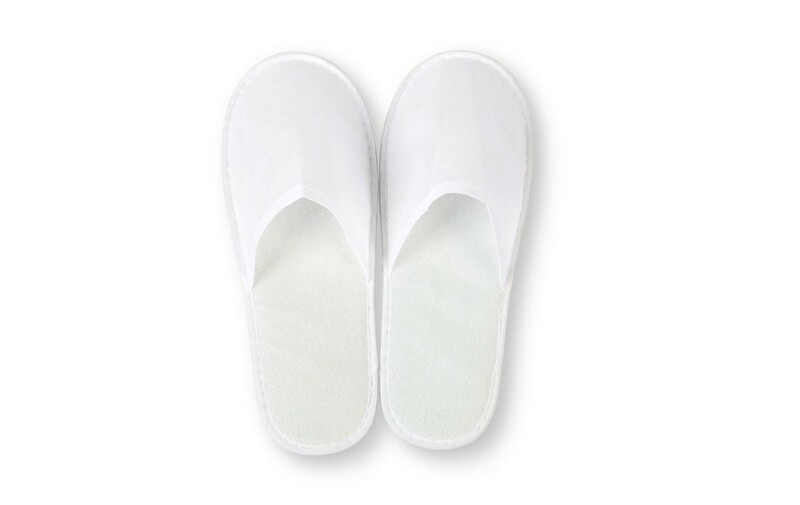 Give your clients and yourself peace of mind with our Spa-Quality Slippers.